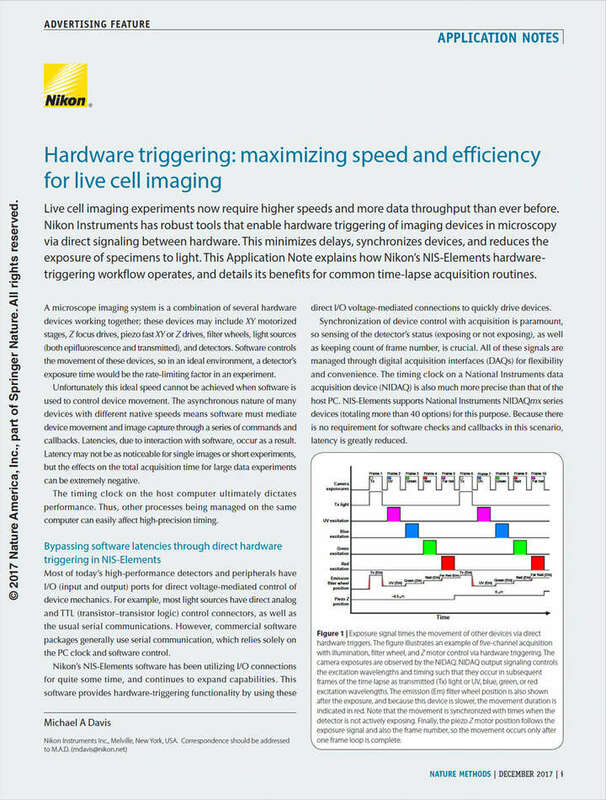 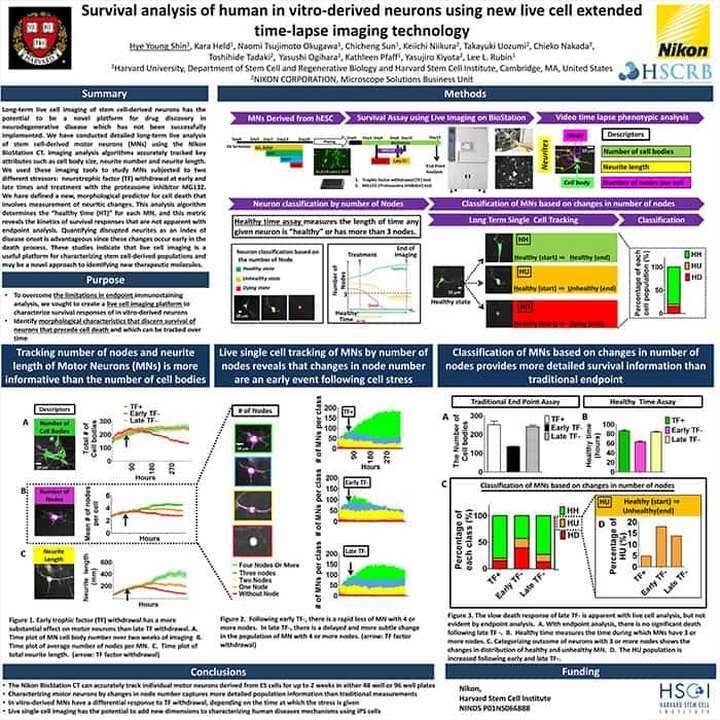 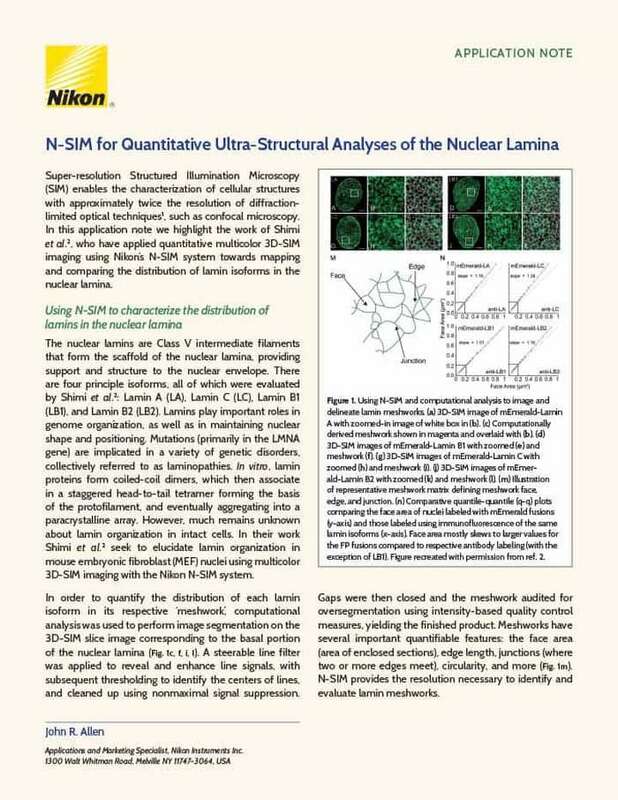 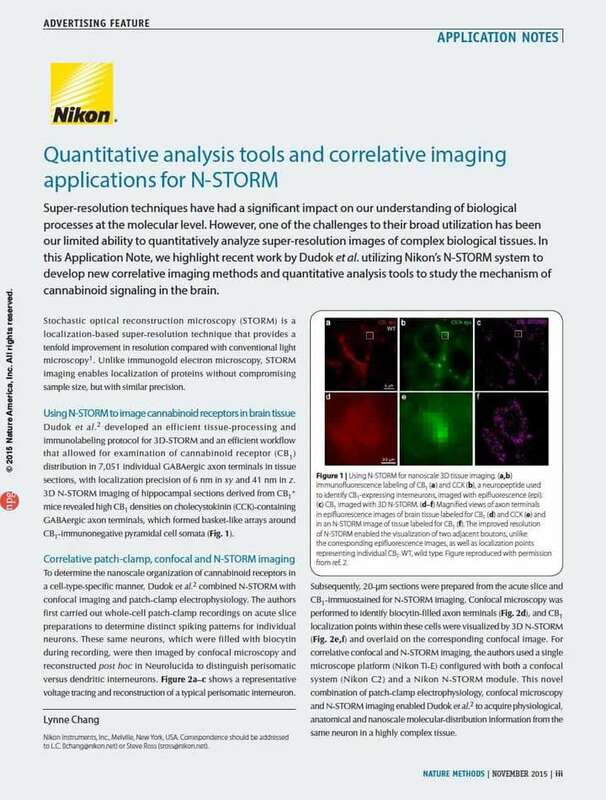 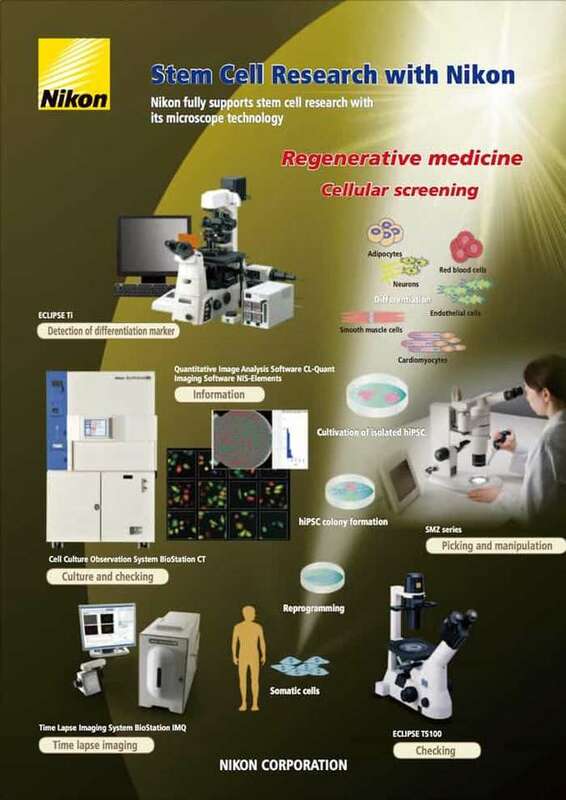 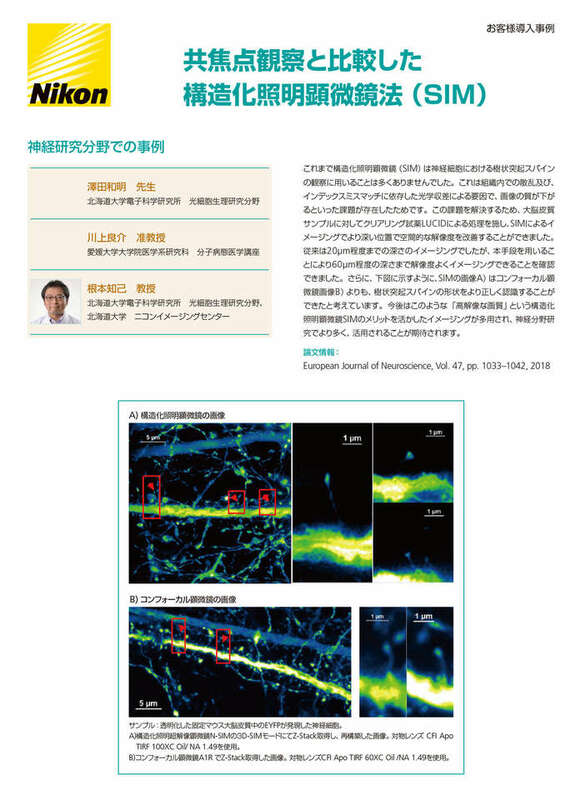 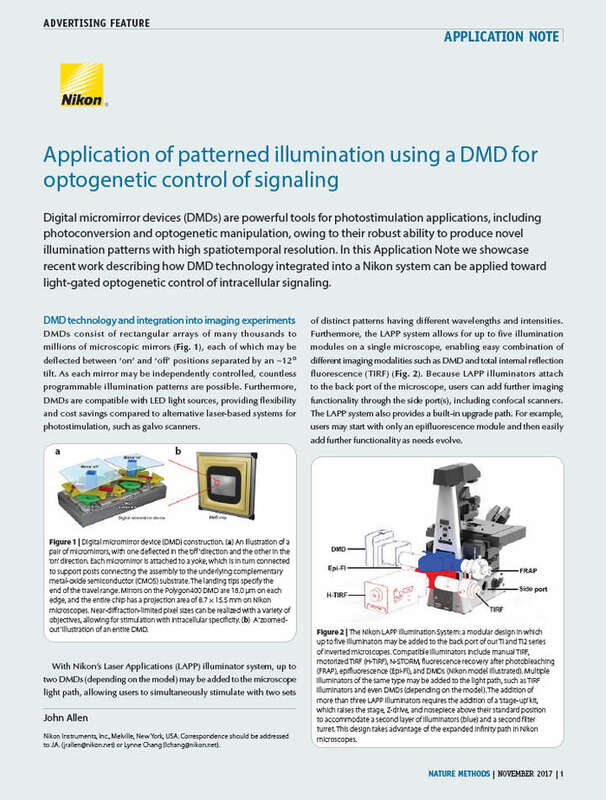 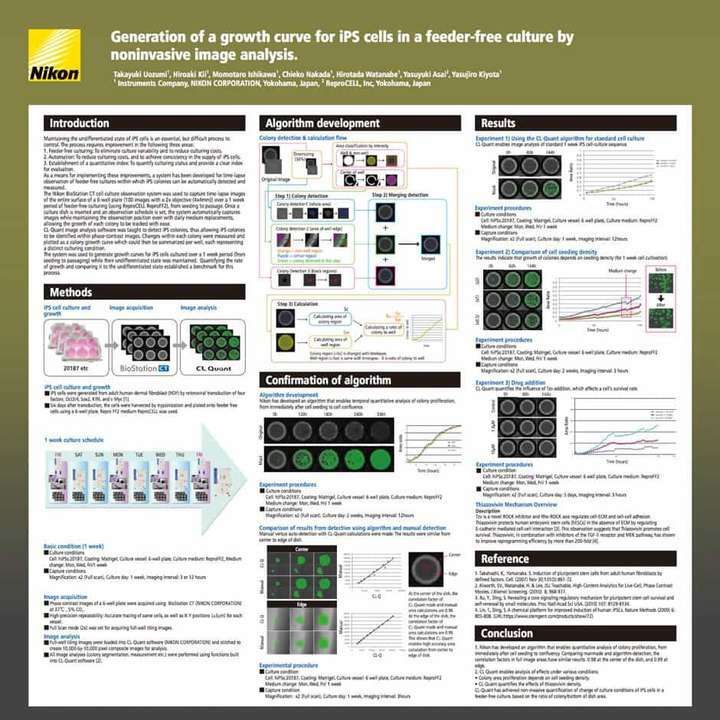 This flyer provides a quick visual orientation of example Nikon products and how they support various research aspects of stem cell biology and regenerative medicine. 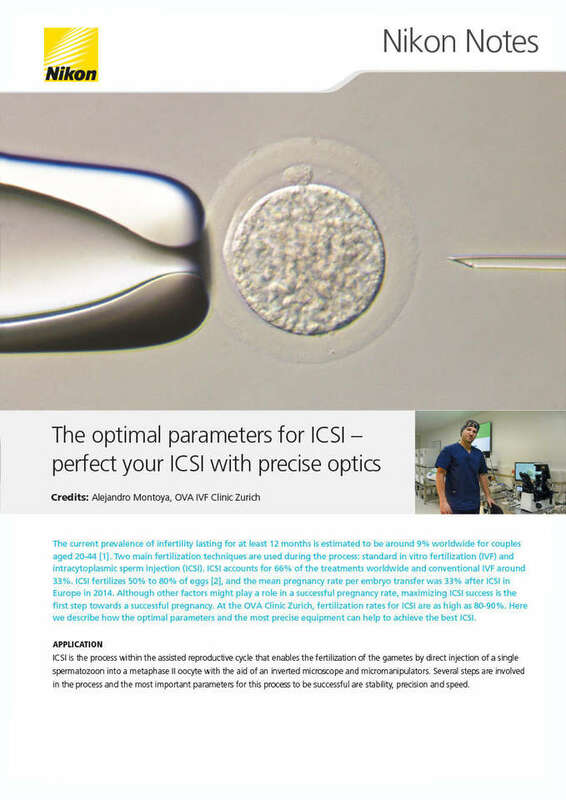 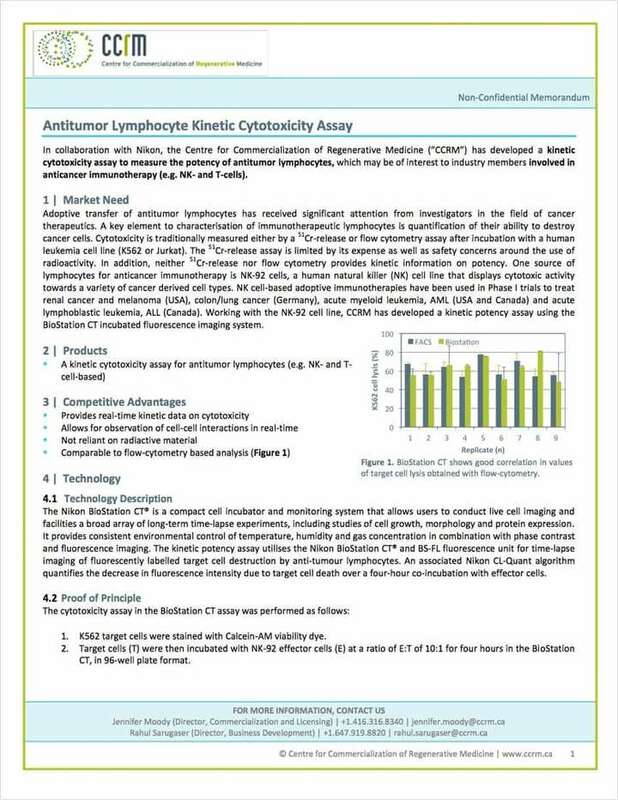 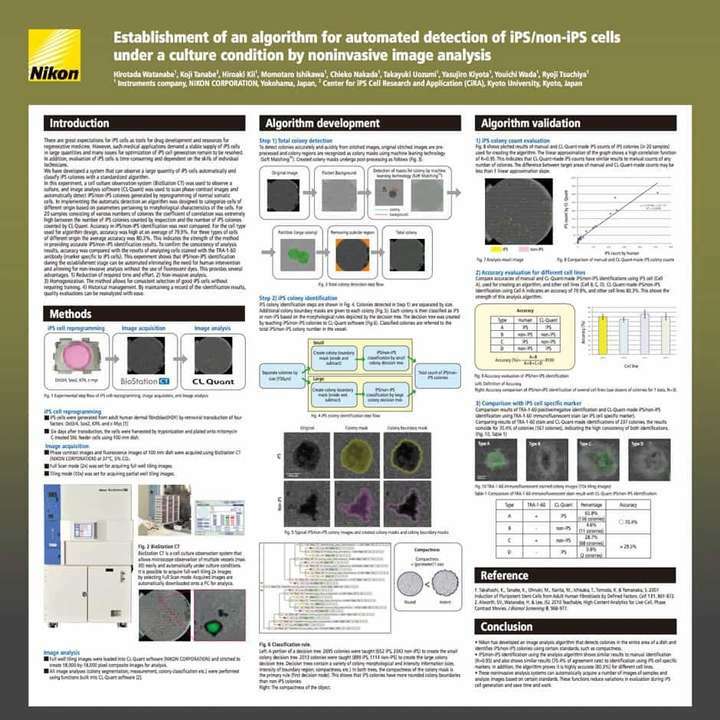 This includes detection of differentiation markers, routine cell culture checking, time lapse imaging, and more. 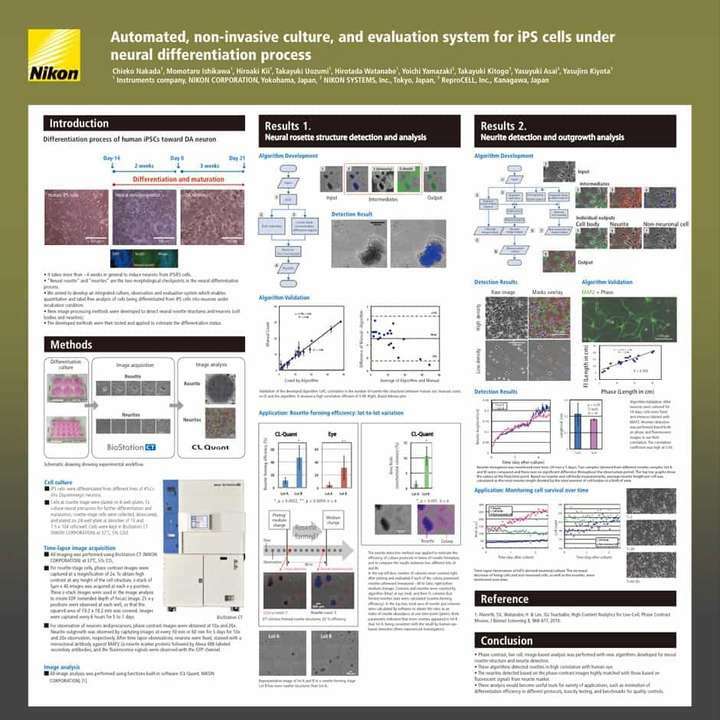 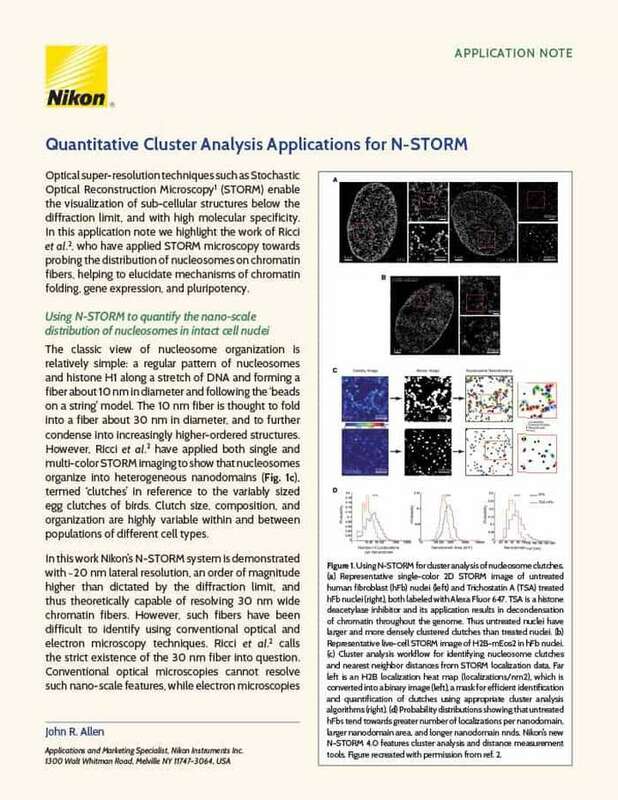 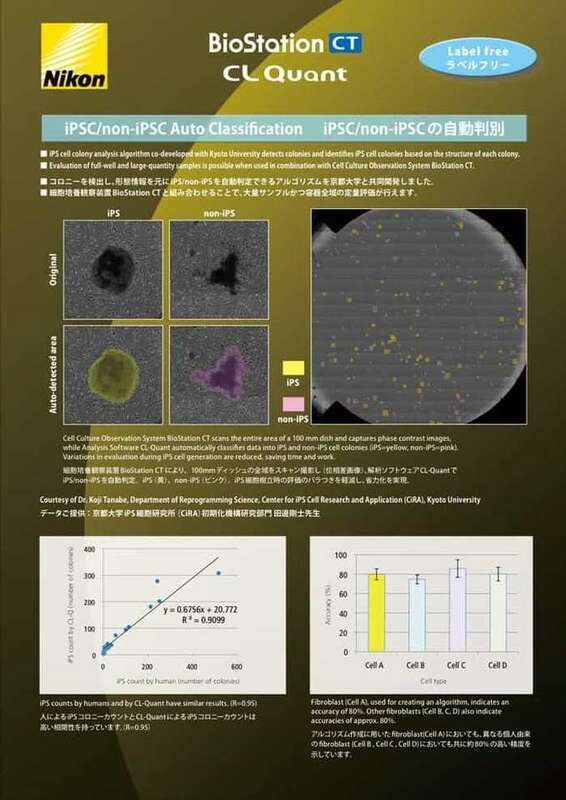 The Nikon BioStation CT cell culture observation system and CL-Quant software provide a powerful platform for stem cell research applications, including automated induced pluripotent stem (iPS) cell colony identification, proliferation analysis, and neural differentiation analysis. 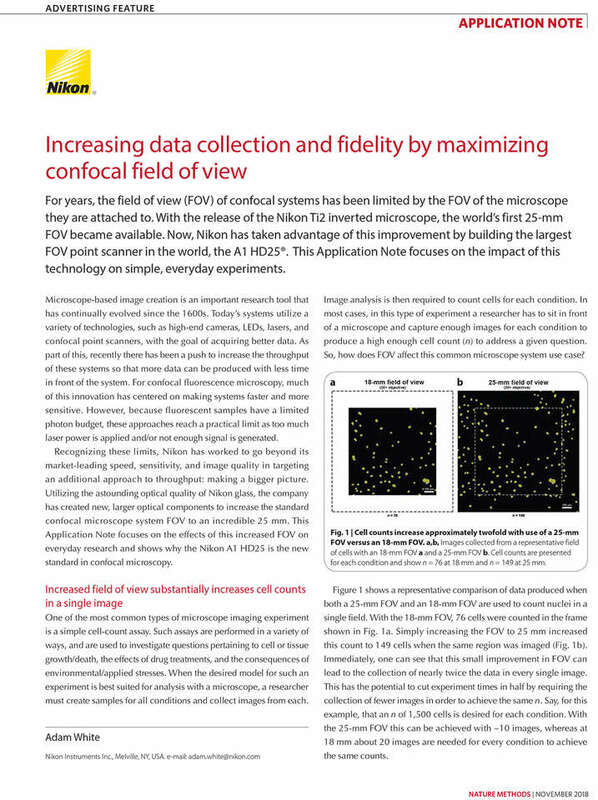 Real experimental data is provided for each of these use cases. 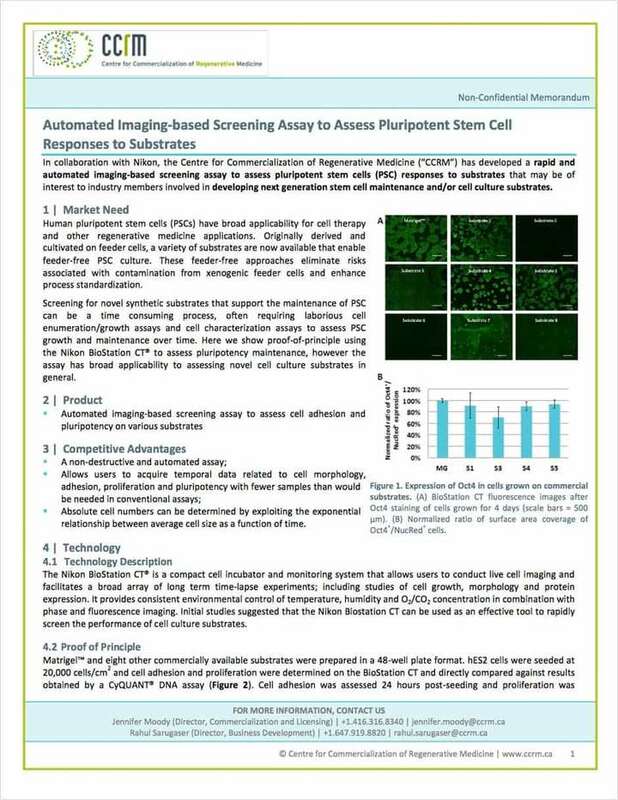 An automated imaging-based screening assay for assessing stem cell pluripotency is described. 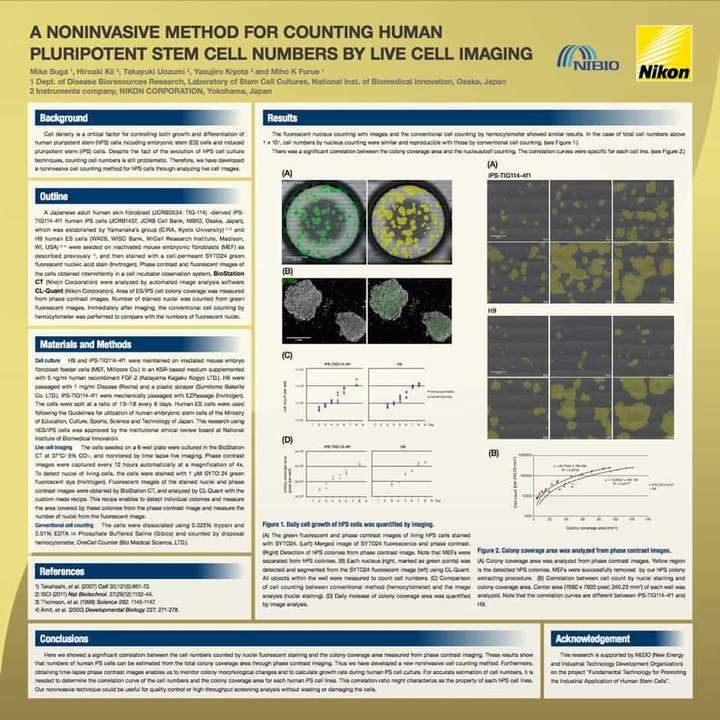 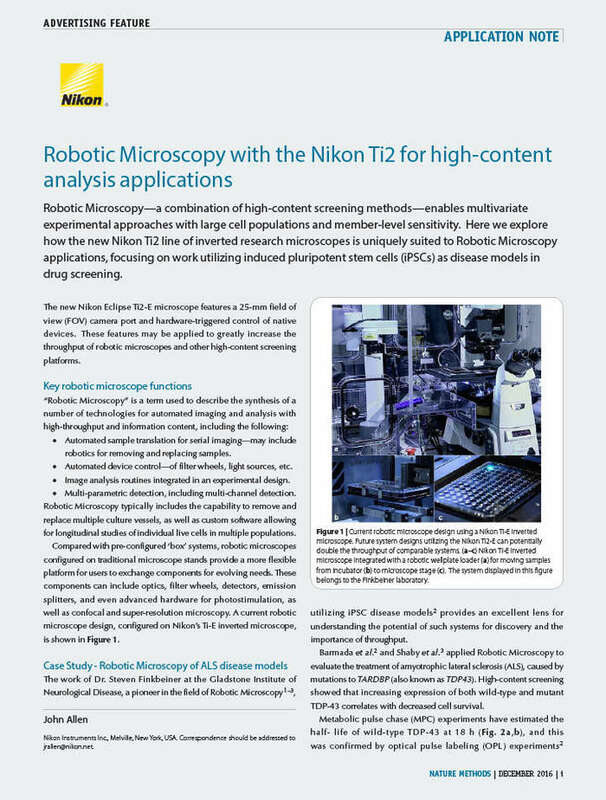 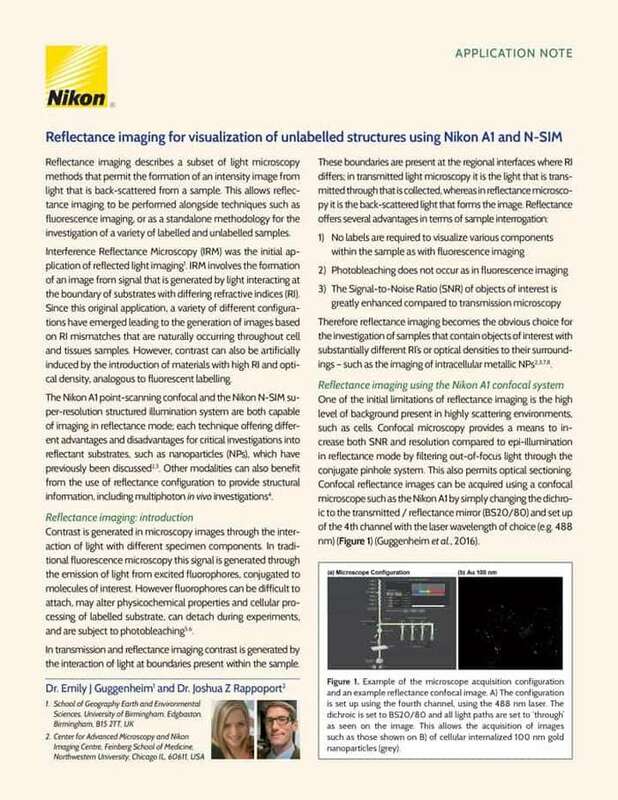 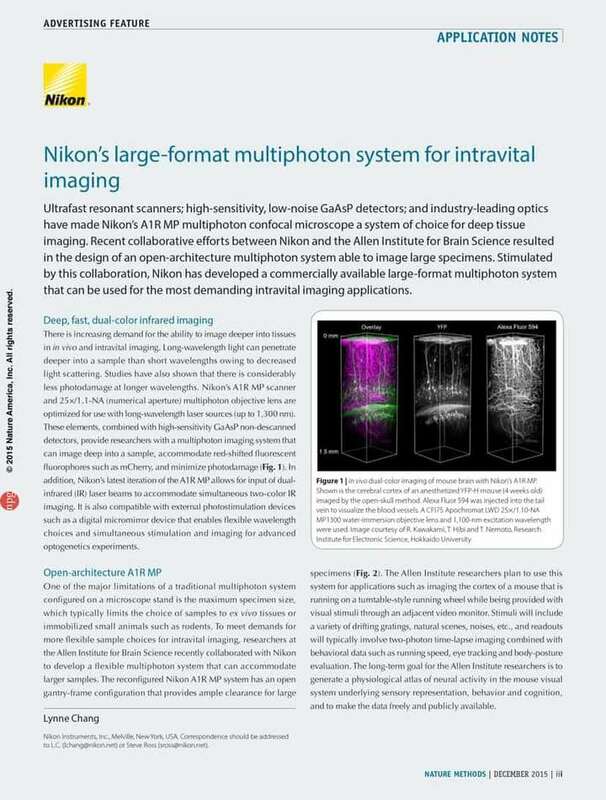 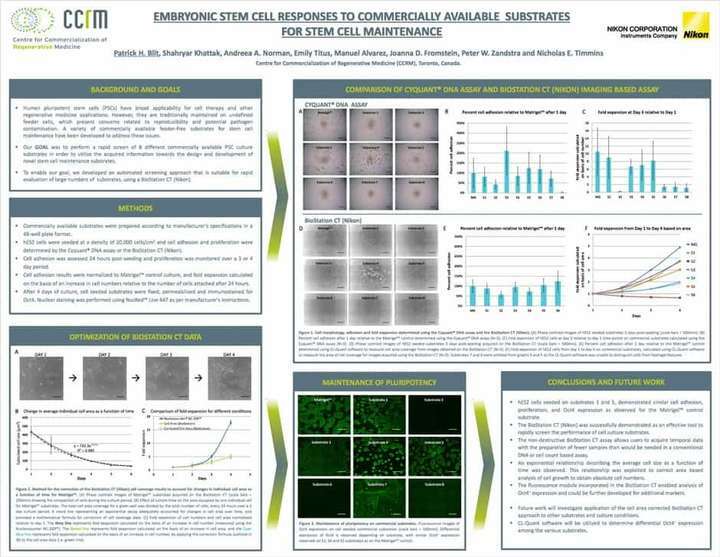 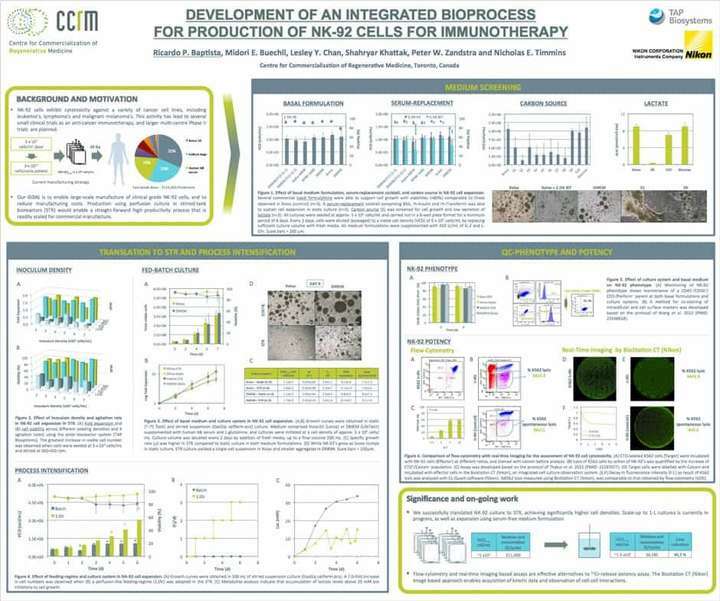 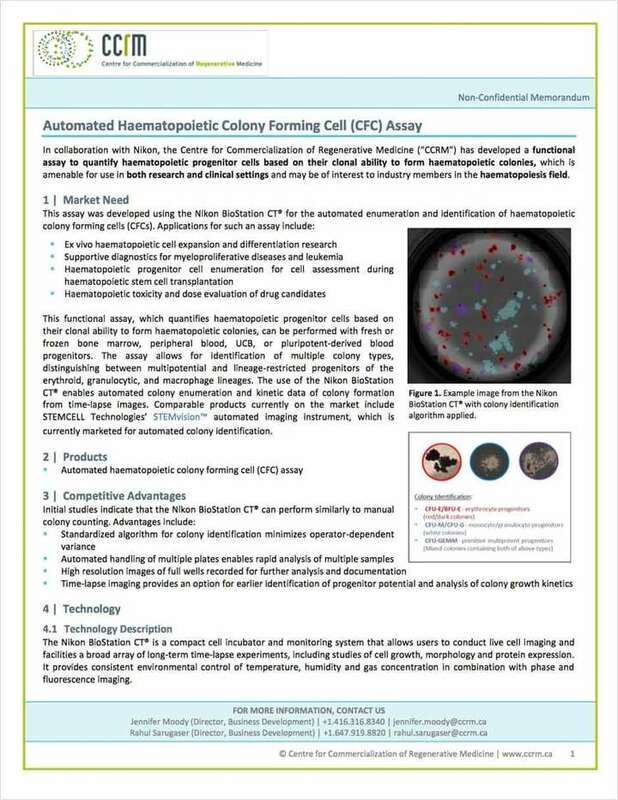 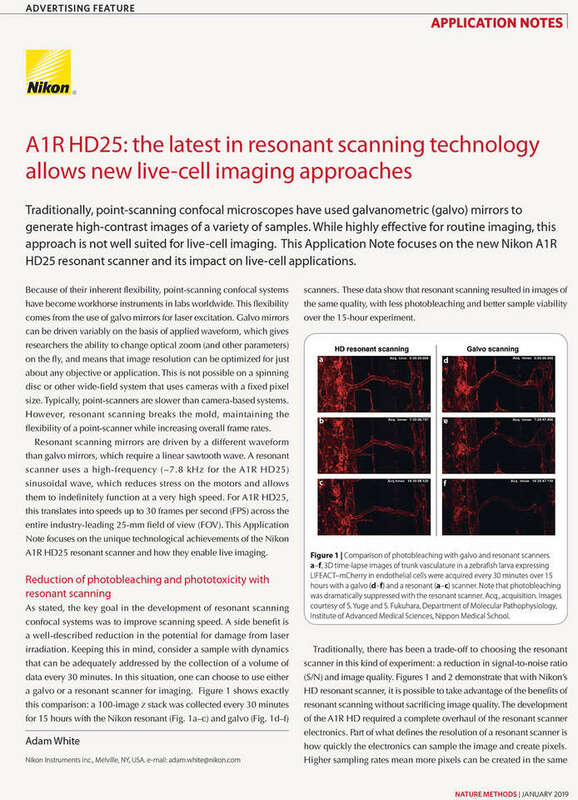 Researchers from Nikon and the Centre for Commercialization of Regenerative Medicine use a Nikon BioStation CT with CL-Quant software to perform stem cell pluripotency maintenance assays in experiments testing feeder cell-free culture vessel substrates. 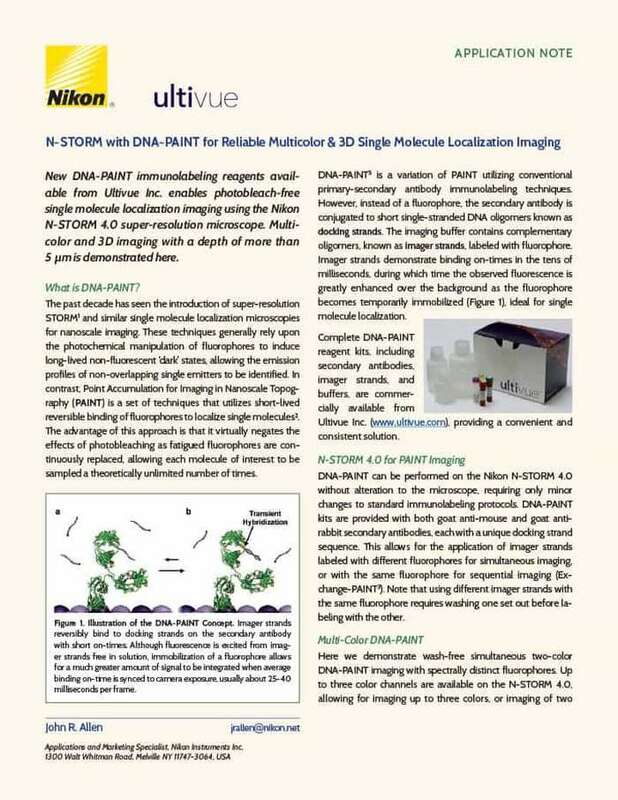 Such commercially available substrates provide a number of process standardization benefits.